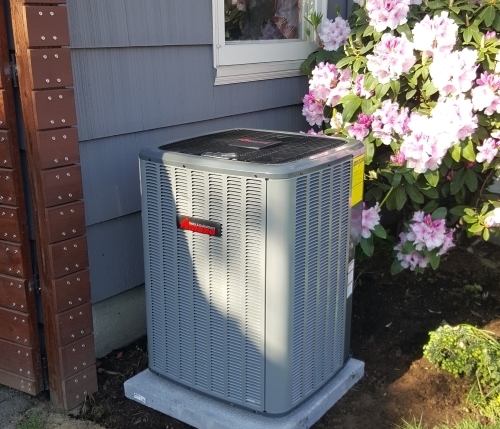 When the weather turns hot and humid in Portland Oregon, there’s nothing like a well-functioning AC system to chase away the heat. Did you recently purchase a new house plumbed for AC– we can finish what the builders started! We can also do new installation in houses that were not originally setup for air conditioning. We can help you size your system to minimize your costs and maximize your cooling needs. Learn more about new air conditioning installation. Are you hot when you should be cool? When your air conditioner isn’t working like it should, you want fast and reliable service. That’s why Portland Heating and Air Conditioning is on the job 7 days a week. Call us any time for emergency air conditioning repair. One of our NATE-Certified technicians will be there in no time to restore your system to a fully operational state. Want to be ready for summer? We also do preventive maintenance and tune up your system to make sure you are ready to handle the heat. We can help you evaluate your current system and help you estimate the savings, but then we will let you figure out what to spend the savings on. Give us a call: 503-663-7454. We offer Amana Air Conditioners. The best unit on the market. Backed by the best warranty! Whatever your heating and cooling needs are, we can help you. Serving your Furnace and Air Conditioning needs in the Portland, Oregon area, we are known as “The HVAC Technicians You Want in Your Home”. Call us today for affordable rates for service and routine maintenance. We will work around your schedule and we always call before coming to your home. We are here to provide you the best in heating and conditioning service.